Pro-level fit with more affordable materials. 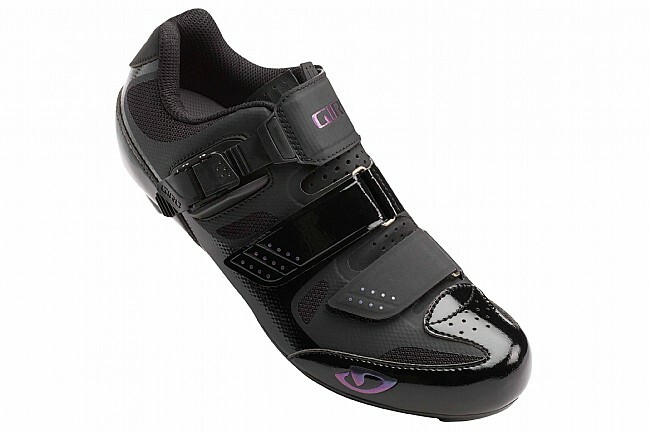 The Giro Solara II is the best value in Giro's high performance road line. 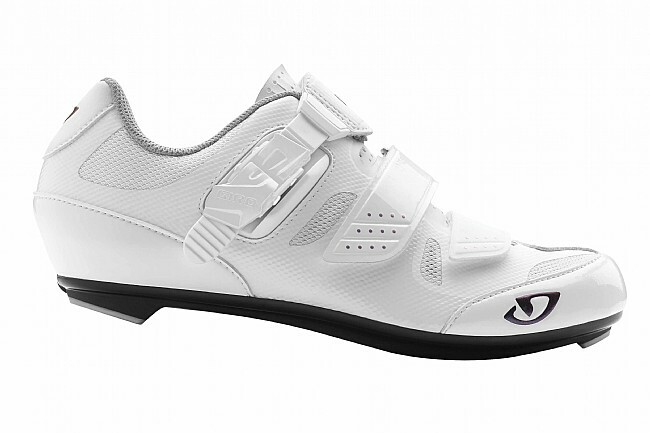 The sole is made from DuPont™ Zytel® nylon, a stiff and lightweight composite material that's more affordable than carbon. For the upper, the Solara II uses a supple bonded and welded mesh material that's breathable and foot conforming. 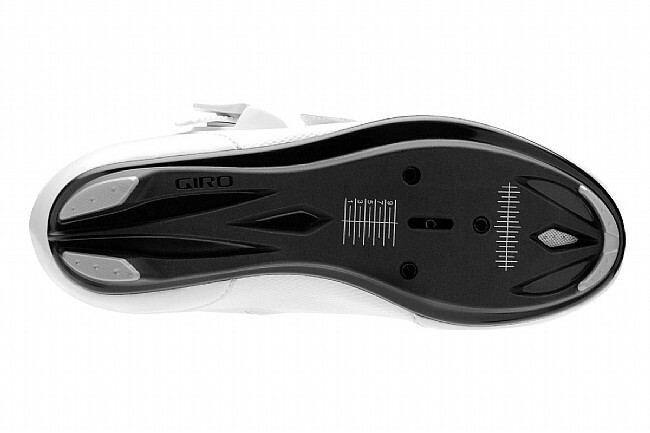 Giro's Molded EVA footbed offers medium arch support, and features Aegis®, an anti-microbial fiber which helps eliminate odor-causing bacteria. The replaceable ratcheting buckle and two strap closure system is secure yet comfortable. An offset "D-ring" at the center strap provides extra fit adjustment, while eliminating pressure points.